When Apple first launched IOS 6 all the talk was about the usability problems with the news maps. 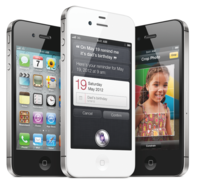 However the new mobile operating system brought with it a bigger issue for website owners, as publishers no longer receive Google referral data from IOS 6 users. As pointed out by Search Engine Land, the problem is caused by Apple’s decision to route Google searches made through the Safari search box to an encrypted version of Google search. It means a big proportion of Safari organic search traffic is now being misread as being ‘direct’ traffic, so publishers don’t know how IOS 6 users found their websites through organic Google search. To reveal the scale of the problem, e-business consultant Dan Barker has created a free Google Analytics dashboard that compares search versus direct traffic from IOS 5 and IOS 6. Stats from Econsultancy.com show that organic traffic makes up 51% of visits from IOS 5, but for IOS 6 the figure plummets to 14%. Clearly this is caused by Apple’s decision to encrypt referral data, so as more people upgrade to the new operating system it’s going to become an even bigger issue for website owners. Barker also highlighted the impact on three anonymous websites. These graphs show the orange ‘direct’ line rising over time as the blue ‘organic’ line drops proportionally. Apple’s decision to encrypt Google referral traffic from Safari follows a similar move by Google to hide data from logged in users. It means that search traffic from anyone with a Google account now shows up as ‘not provided’ in Google Analytics. Last year we noticed that this was impacting around 33% of our search referals from the US, and ‘not provided’ had even usurped Econsultancy brand terms as our top search referral. This is great news from a user privacy perspective, as it means that two of the world’s biggest tech companies are protecting search data. However, it means that it is becoming near impossible for websites to accurately measure their search traffic, which removes a key business analytics tool. 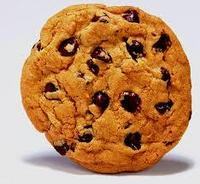 Stats include Cookie Law compliance, blinkbox’s mobile traffic, Facebook brand pages, real-time bidding, email marketing ROI, mobile marketing in the UK and how UK mums use smartphones.